Seeing that most patients have a parental transference with their doctors, is it a stretch to look at the other patients in a psychiatric practice as an extended family? Part of the fantasy that patients in therapy perennially have, is that of entering the inner sanctum. They want to know all about their doctors, just like they wanted to know whether their parents were sexually active or not. It’s rare that patients get to know much about the person they’ve been seeing, but perhaps they will do better if they try to find out the identities of their therapeutic siblings. Adopted children are usually successful when they set out to identify their biological parents and finding out the patients who a doctor has treated, while difficult, is probably not as hard as an adopted child trying to locate his or her birth parents. Why bother to do this? The most obvious answer is to compare notes. All therapists have their peculiarities and peccadillos and it’s always fun to discover how much is transference on the patient’s part and how much results from the fact therapist X just acts the same way in every situation. Is the complement of patients parentalizing their therapists, the tendency of therapists to infantalize their patients, turning them into helpless adoring creatures, tabula rasas, petrie dishes in which Victor Frankenstein can perform his wonders? Naturally it would also just be fun to gossip and collect any information you could about mommy or daddy’s extra curricular activities? Could you imagine attending a convention where the current or former practice of your beloved doctor takes over an inn in Vermont for the purpose of discussing his or her treatment of them? 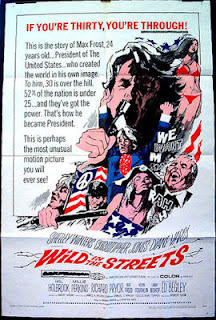 It would be something like the civilian population bugging CIA headquarters or better yet Wild in the Streets, the l968 B movie starring Christopher Jones, Hal Holbrook and Shelley Winters in which children take over the world.